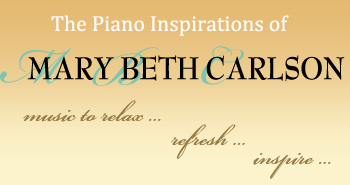 After The Rain presents a refreshing collection of uplifting piano orchestrations that showcase Mary Beth's passionate and sophisticated piano artistry. She is accompanied by a talented ensemble featuring various combinations of harp, flute, acoustic guitar, violin, cello, soprano sax and oboe. Many familiar melodies including Oscar and Grammy winners plus two inspiring originals make this an unforgettable musical experience.